Office Space - Clyst Honiton, Devon. 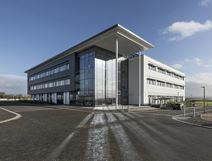 This Science Park location is ideal for any individuals or companies undertaking R&D. The centre provides a range of serviced office spaces, co-working options and laboratory space in a 25 hectare parkland environment.